Does change in income and deprivation change your smoking risk? Yes, but in different directions. 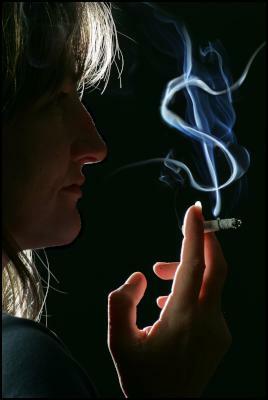 Everyone knows that lower socioeconomic groups are more likely to smoke. But why? 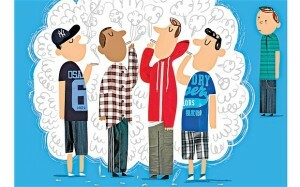 Is it because of things like less education or more deprivation actually causing you to smoke? Or is it other correlated things like personality? The answer to these questions matter, both for tobacco control policy and political debate. Moreover, not all is as you might expect, and it differs for deprivation and income. Research we have just publishedin the journal Tobacco Control, answers these questions using data on the same people followed over several years. We found that moving from a neighbourhood with the least deprived fifth of New Zealanders to the most deprived fifth increased someone’s odds or chance of smoking by a large 83%. This increase in your chances of being a smoker if you move to a more deprived neighbourhood is consistent with a ‘social causation of disease’ model. That is, worsening social circumstances makes you more likely to smoke. However, we also found that an improvement in social circu mstances through increasing income among 15-24 year olds increased the chances of smoking. Doubling personal income increased the odds of smoking by 28%. 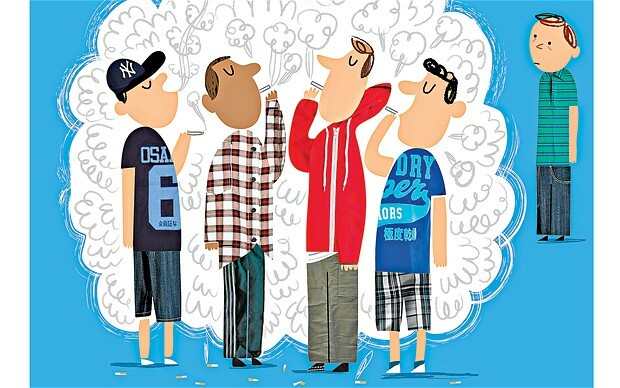 We know that giving teenagers more pocket money increases their likelihood of smoking. We also know that increasing the price of tobacco through tax decreases smoking. So it is not surprising when you think about it that increasing incomes among young adults increases smoking risk. But, this runs counter to a simple ‘social causation of disease’ model that suggests improvement in social circumstances will always improve health – it doesn’t. The study we used was better able to tease out causation from correlation, because it tracked how the smoking behaviours of 11,000 Kiwis changed when their personal circumstances changed. This study design is vastly superior to a simple one-off survey – but still not as good as a randomized experiment of, say, giving people more or less income. Other findings of the study included an increased chance of smoking if you move out of the family, but a decreased chance of smoking if you move out of work (perhaps due to people moving out of work for health reasons). Changing social circumstances did not really alter the number of cigarettes people smoked – just whether people smoked or not. What does this mean for tobacco control policy? Generally, reducing peoples’ deprivation through wider social policy should also facilitate reducing smoking rates. But the fact that increasing income among young adults increases initiation requires more aggressive tobacco control policy at this age. We want young adults to increase their incomes. But we do not want young adults to become addicted smokers as an unintended consequence. Policy options here might include increasing focus on higher taxes on cigarettes as youth a more price-sensitive, lifting the minimum age to purchase tobacco, raising alcohol tax to help prevent both drinking and smoking as smoking is often a complementary activity to drinking, and adopting fully smokefree hospitality venues, similar to a 25 foot rule in force in some USA jurisdictions. The issue of smoking initiation in late teens and early 20s is something that has been perplexing our colleague Prof Richards Edwards – he will be blogging more on this at Public Health Expert soon. The research was conducted on Survey of Family Income and Employment (SoFIE) data collected by Statistics New Zealand, with additional health data collected and analyzed through funding by the Health Research Council of New Zealand. My co-authors were Kristie Carter, Ichiro Kawachi, Frederieke van der Deen and Alistair Woodward. This entry was posted in Uncategorized and tagged deprivation, income, smoking, tax, tobacco by TONY BLAKELY. Bookmark the permalink. “Or is it correlated things like personality?” I was looking for clues on whether health literacy could have been a significant factor given what is known about it and health inequalities? I would appreciate your comments plse. Yes, health literacy is exactly the sort of thing (in addition to personality). That is, there are many things about people that do not change much/rapidly over time, and could be giving rise to differences in (say) smoking behaviour. If these ‘things’ are correlated with socioeconomic status (e.g. long-run income), and predict smoking within levels of income, and are not on an actual causal pathway from income to smoking (i.e. they are not mediators), then they are potential confounders. In epidemiology we seek to adjust for these ‘confounding things’ as best we can, but we can never achieve perfect control for unknown or unmeasured confounders. That is why randomized controlled trials are so good – they mean that these potential confounders are randomly and evenly distributed by ‘exposure’ preventing any confounding. But it is hard to conduct a randomized trial of income! In the study we did, we use a study design that ‘removes confounding’ by all-time invariant factors such as personality and that component of health literacy that does not change much over time. And then we look at just those people changing income over time, and smoking status over time. In the main, yes – and thank you Tony. You’ve explained how you’ve accounted for and to remove or deal with the confounders issue. So if it is hard to conduct a randomised trial of income, how much harder or easier would it be to conduct a trial on health literacy for Nz or for any of our ethnic minorities? And I’m thinking Maori and/or Pasifika. Not sure. Maybe someone else can comment on a trial of health literacy.